Continuing confusion persists with owner/operators following the introduction of the December 18, 2017 hours of service mandate issued by the Federal Motor Carrier Safety Administration (FMCSA) in the US. Dean Pearson, COO of Centurion Auto Transport and Wayne Pollock Managing Director of CDN will be speaking at the 2nd annual Auto Haulers Association of America Expo (AHAA) about a Carrier Data Exchange initiative. US AutoLogistics, LLC (USAL) has commenced the first phase of their pilot of Car Delivery Network’s new Electronic Logging Device (ELD), which captures truck and driver performance, GPS and Hours Of Service data, and transmits it back to CDN’s cloud servers. Car Delivery Network’s ePOD App now handles 2.5 million vehicles per annum - 15% marketshare in US and Canada. 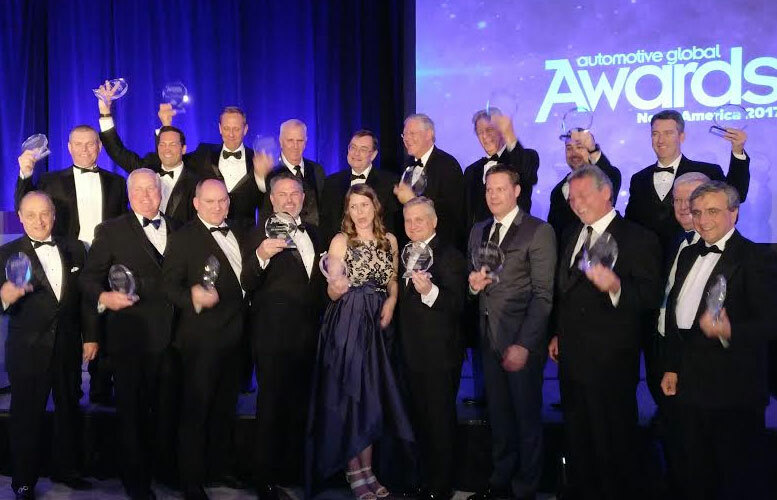 The second year for Automotive Supply Chain awards took place at the Mandarin Oriental Hotel in Las Vegas. 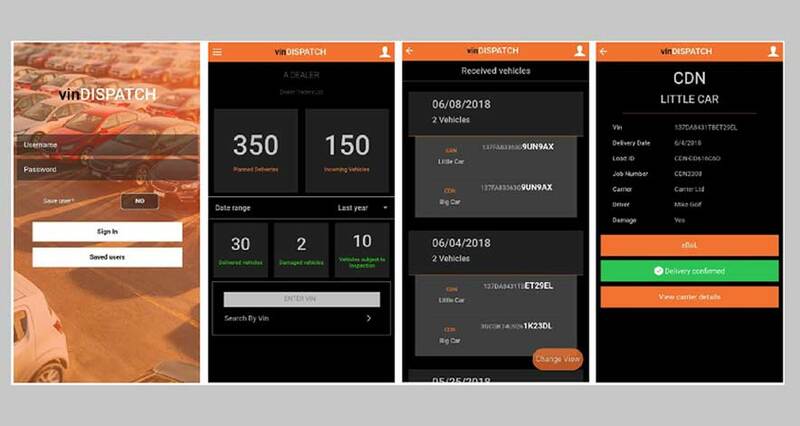 Car Delivery Network (CDN), which provides electronic proof of delivery (ePOD) applications for outbound finished vehicle movements, has built a free industry application for the dealer network that simplifies the storage and availability of vehicle delivery information. CDN are making further strides in the US market through our vinDELIVER technology, and our new infographic will show you where we are currently, and where we expect to be by the end of 2016. CDN are making huge strides in the US market through our vinDELIVER technology, and this infographic will show you where we are currently, and where we expect to be by the end of 2015. 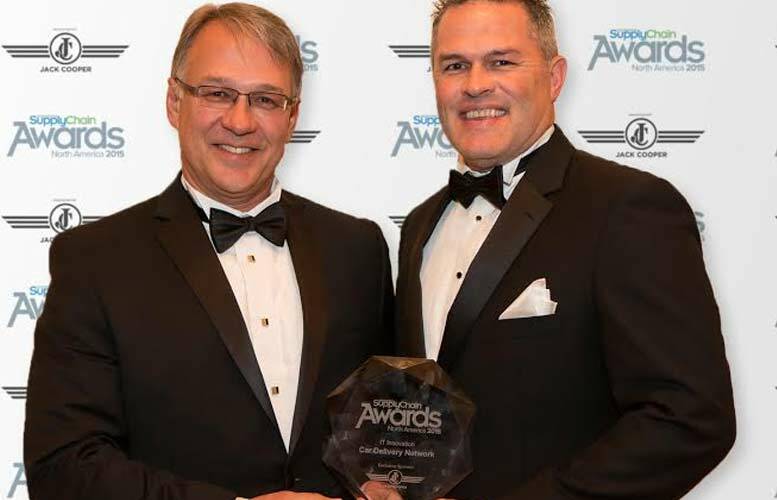 Car Delivery Network (CDN) has been selected as one of three finalists for the IT Innovation category of the North American Automotive Supply Chain Awards 2015. After major industry success delivering ePOD solutions to the finished vehicle sector, Car Delivery Network (CDN) has just completed a private offering that brings total funds raised to the $1 million mark. After a successful ‘pilot’ over the last 4 months, Motor Car Auto Carriers (MCAC) has completed testing of the CDN vinDELIVER mobile application for Chrysler's ePOD readiness program. MCAC expects their roll out of vinDELIVER to be completed by April 30th, 2014.